Healthcare is a major business; one that requires talented administrators to manage the growing demands of medical services, technological advancement and compliance with regulatory actions. Formally trained health services administrators are poised at the forefront of these demands, exceptionally prepared to provide the skills and leadership needed to solve the most complex industry issues. The US Bureau of Labor and Statistics estimates that by 2020 employment of health service administrators will grow by 22%, faster than the average for all occupations. As our population grows and ages, so will the demand for exceptional administrators. 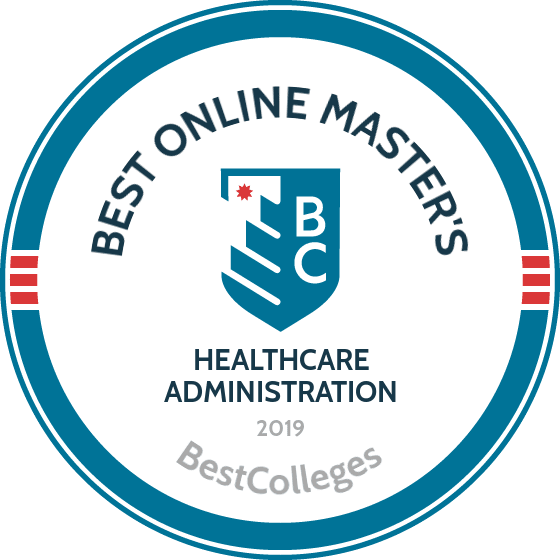 The LECOM School of Graduate Studies will prepare you to fill that need when you enroll in the Masters in Health Services Administration (MHSA) program. The knowledge gained from the MHSA program is essential and provides students with the skills required to plan, direct, and lead medical and health service organizations as administrators in hospital or other acute and subacute healthcare facilities, public health care organizations, pharmacies and private practice groups. The knowledge gained from the MHSA program is essential for fiscal, planning and managerial work in healthcare organizations and the establishment and management of clinical practices. This program is primarily a distance education program requiring only 8 days of in-person training at the Bradenton, Florida or Erie, PA campuses. These on-site visits are scheduled Thursday-Sunday so only 4 workdays are utilized for the entire program. The MHSA program is specifically designed to meet the demands of a busy working professional or full time students. The January cohort classes are 6 weeks in length and the program is completed in 18 months – Applications must be submitted no later than Dec. 1st. The June cohort classes are 8 weeks in length and the program is completed in 24 months – Applications must be submitted no later than May 1st. LECOM is accredited by the Middle States Commission on Higher Education, 3624 Market Street, Philadelphia, PA 19104, 267-284-5000. The Middle States Commission on Higher Education is an institutional accrediting agency recognized by the U.S. Secretary of Education and the Council for Higher Education Accreditation. The Commission has included the LECOM School of Graduate Studies MHSA within the scope of the institution’s accreditation. To further assure the quality of the LECOM MHSA program, the School of Graduate Studies is a member of the Association of University Programs in Healthcare Administration (AUPHA). The Mission of the Lake Erie College of Osteopathic Medicine’s Masters in Health Services Administration (MHSA) program is to develop clinicians and graduate students into executive health care administrators through educational excellence in a focused, case-based curriculum with experiential discovery and action research delivered through a flexible on-line platform; executive healthcare administrators who can effectively adapt to rapidly changing health care systems and deliver interprofessional strategic leadership in hospitals, clinical practices and nursing facilities. The Lake Erie College of Osteopathic Medicine School of Graduate Studies Masters in Health Services Administration program is licensed by the Commission for Independent Education, Florida Department of Education, 325 West Gaines Street, Suite 1414, Tallahassee, Florida 32399, 888-224-6684. Please click here for information regarding LECOM participation in the State Authorization Reciprocity Agreement.